Going to a concert without a parent can be a rite of passage for many teens. But, letting your teen go to a show without a chaperone can be a frightening prospect. 1. What Type of Concert Is It? The type of music at a concert determines the type of audience that will be in attendance. If your teen is interested in a boy band, the crowd should be fairly tame. But, a heavy metal concert or an alternative rock band may attract an older, and perhaps rougher, crowd. Familiarize yourself with the band's music. Listen to the lyrics of a few songs and get a clear idea about the type of message a musician or band is sending. If they're sending unhealthy messages about social issues, like body image or drugs, think twice about letting your teen attend the concert alone. Look for news stories about the musician or band to see if there have been problems at any of their previous concerts. Look at the their social media profiles to see what types of things they share with their audience as well. Their interaction with their fans can give you some great insight into the type of crowd they attract. 2. What’s the Venue Like? 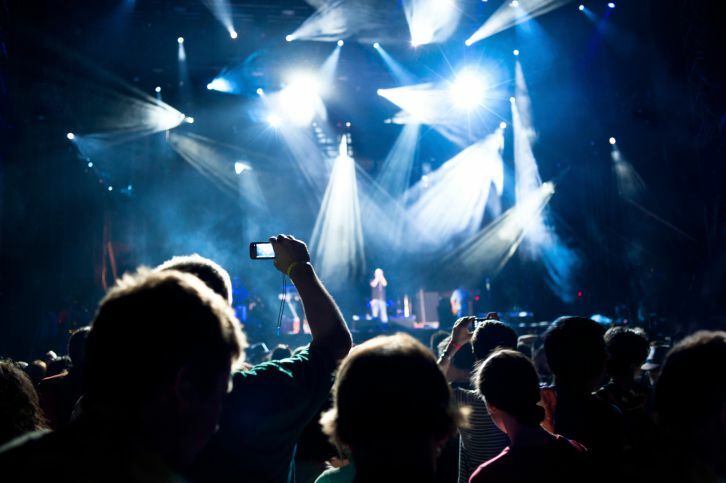 Concert venues vary greatly in terms of safety issues, crowd control, and security rules. Go to the venue’s website and review their protocols. Look at the seating arrangements and check out the venue’s policy on alcoholic beverages. Concerts that serve alcohol in a venue with few restrictions could be a bad idea. Consider the venue’s location as well. Is it located in an accessible area or will you have difficulty waiting in a nearby place for the concert to end? Make sure to examine the venue’s policy on smartphones. Some venues don’t allow cameras, which means smartphones aren’t allowed. A venue that won’t allow your teen to carry a smartphone could prevent you from communicating before, during, and after the concert. 3. Is Your Teen Mature Enough to Handle Potential Problems? There are many potential things that could go wrong during a concert. Will your teen know how to respond if a crowd starts to get out of control? Would your teen know how to handle an emergency situation, like an evacuation of the event? It’s important to ensure that your teen have the knowledge and maturity to deal with problems without panic. It’s also important to consider your teen’s ability to resist the peer pressure. Sometimes, concerts offer alcohol, drugs, and a variety of opportunities for teens to make poor choices. Before sending your teen off to a concert, make sure can make good choices, amidst the excitement. 4. Who Is Going With Your Teen? It’s important to consider who will be attending the concert with your teen. Do you trust that your teen’s friends can make good decisions? If not, a concert may not be a good place for them to be unchaperoned. You may also want to consider alternatives to allowing your teen to attend the concert completely unchaperoned. For example, is there an older sibling or trusted babysitter who could go? Could you attend the concert with the agreement that you’ll stay several rows behind your teen? These options may help you feel more confident about your teen’s concert attendance. 5. Is Your Teen Ready for More Freedom? Your teen’s behavior should be the biggest factor when making the decision. Your teen’s ability to follow the rules and behave responsibly is a sign that she’s ready for more freedom. If however, you can’t trust her to tell the truth, or she doesn’t follow your rules, she may not yet be mature enough to go to a concert alone. If you decide that your teen isn’t quite ready to go on such a big adventure on her own, make it clear what behavior you’d need to see from her so she’d know when she’s ready. Explain that when she shows she can handle her current responsibilities, you’ll know she’s ready for more independence. So rather than say, "You can go to a concert alone when you're 16," say something like, "When you do your chores and your homework without reminders, I'll know you're ready for more responsibility."